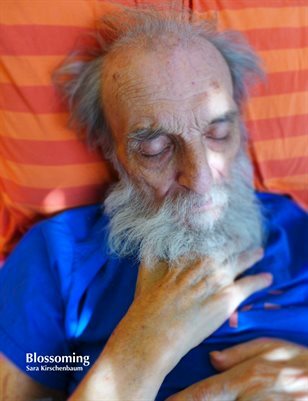 With text and photographs -- taken over eight years -- Sara Kirschenbaum tells the story of her father’s simultaneous demise and flourishing. Her father, Bernard Kirschenbaum, was an architect and sculptor devoted to geodesic design and art. Her mother, also an artist, creates rituals and even a religion devoted to drinking coffee and ice cream, to keep her husband engaged and happy. It is a story about a family discovering surprise gifts in the midst of dying.